Without wandering off into the weeds, where we end up talking about why a toaster looks like a toaster, let’s just answer this question simply in marketing terms. 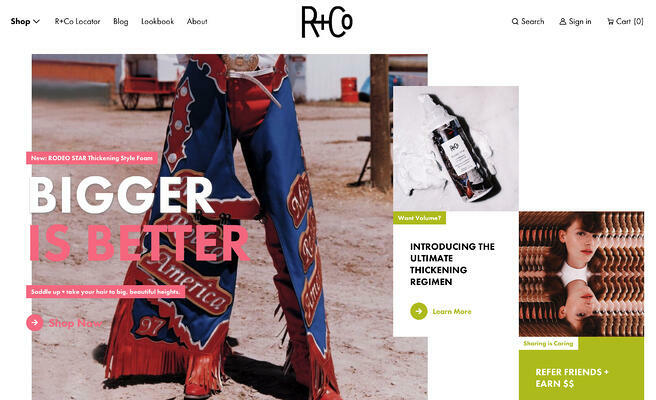 Why does design matter in marketing? Design is an ambassador. Your design represents your company. Your logo, your website, an email… these things are often the first things a potential customer sees when they’re first learning about your company. As an ambassador, great design sets you apart from your competition. It defines your visual style. It communicates the things that make your company unique. It also builds trust. People instinctively trust a well-designed, modern website more than a shoddy one that was last updated in 2006. Design is a salesperson. Design can actually perform some of the work of moving people through the buyer’s journey. Design helps to move prospects forward, from awareness to consideration to decision. It forms a connection that drives sales. Great inbound marketing design appeals directly to your buyer personas. It ignites interest and moves prospects through the buyer’s journey by maintaining that interest and highlighting your key differentiators. So what makes design great? We said before that it’s more than just looking good. The simplest answer I could think of to “what makes design great?” consists of three words, which by magical coincidence all begin with the letter C.
Great design is clear. We know that one of the functions of design is to guide your audience where you want them to go, not just from page to page on a website, but also by guiding the eyes to the important information. Good design does this effectively by being as clear as possible. You don’t want your customers or prospects guessing where to click, or missing an important takeaway. So we want the design to be clear. Great design is clean. Reduce your message to its essential components. That means keeping the word count in your written content to a minimum, but it also means keeping your design content to a minimum. Trim the fat and keep your design lean. Great design is consistent. Define your brand through consistent use of your logo, your color palette, your fonts, and the style of your illustrations, icons or photography. Consistency can be a strong force for pulling a buyer through their journey. Let’s go into each of these more deeply, and look at examples of what we’re talking about for each of these three keys to great design. Which button to go down? You can guess, and you have a 50/50 shot, but you shouldn’t have to guess. The designer of these buttons didn’t think about UI. Make sure the design makes things like this easier to figure out, not harder. I mean, it’s cute, right? But they’ve outsmarted themselves a bit, haven’t they? They’ve made it so the user has to spend a few seconds looking at it trying to figure out if they’re supposed to be able to read it, or if they have an ocular migraine coming on. Then, they have to figure out to mouse over a certain area to reveal the message. That’s all users are going to say, right? “Oh. 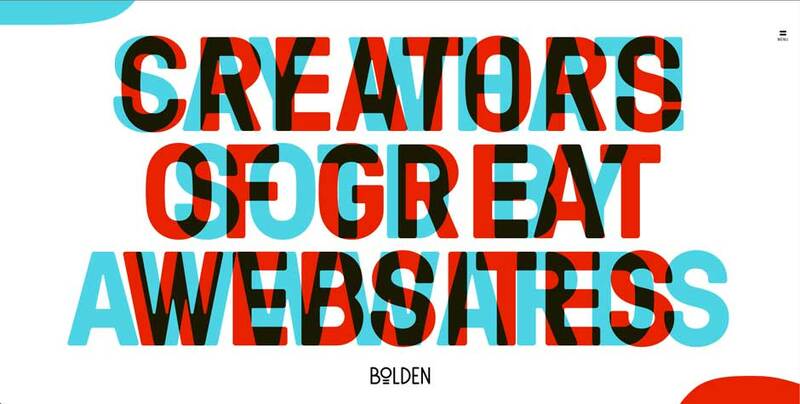 Hunh.” But I guarantee you the designers at Bolden were all high-fiving one another when they came up with this. 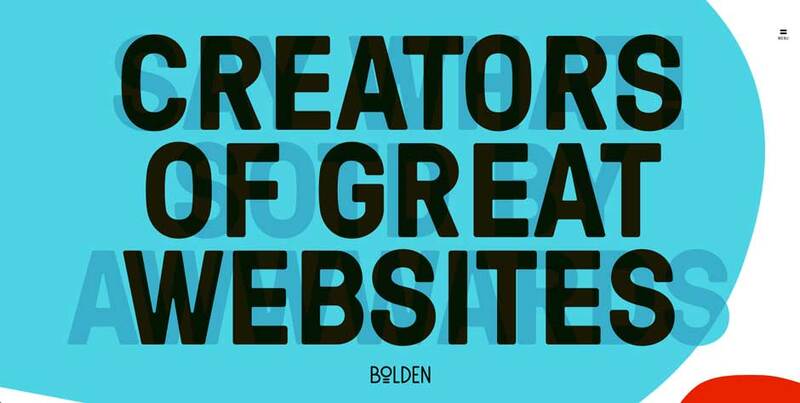 Don’t let your designer, or the designer in you, get too clever for your own good. Being clever is fine, but they should have figured out a way to be clever while communicating their message instantaneously, and clearly. I looked at this picture and read all of that and still didn’t understand it. 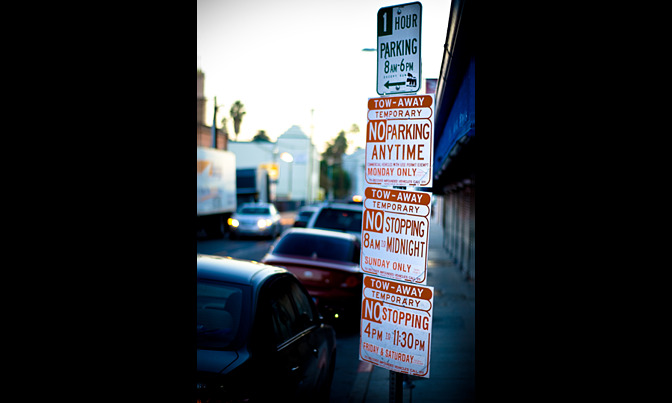 One hour parking during the day, but what happens after 6? I don't know. Then we have specific directions for Monday and Sunday, then we jump back to Friday and Saturday. What about the other days? I guess that’s what the top sign is for, but I’m not sure. I should be sure. And someone is sure. I guarantee you the ticketing officers on this street know when they can ticket cars, down to the minute. Someone who knows what the rules are on this street surely could have used a clearer design to communicate it. What might be better? Imagine a table with the days of the week across the top and the hours of the day down the side. Color-coded blocks tell you when you can park. If you’re in the green, your good! A sign like that would be clear, easy to understand, and take up less than half the space of this sign, using just a fraction of the words. Clear design almost always communicates in the simplest way possible. And that leads into our next C: Clean. So once again let’s again try to define it by looking at examples of the opposite. So here, we don’t really know what to look at, do we? My eyes can’t fixate on any one thing, so they just glaze over. This is an extreme example, but it’s a potential pitfall in everything we design. Boil it down to one message. Communicate that message effectively. That’s clean design. This website homepage is a much less extreme example, but it’s still a case where cleaner would be better. The busy background image, with all of its color and texture, has rendered the main headline virtually unreadable. Perhaps even worse, what should be the main call to action is even more hidden! (See that little "Shop Now" next to the arrow there?) A cleaner design would make sure that these important messages don’t get lost. So I don’t have to tell you what’s wrong here. It just looks terrible. It takes some serious effort just to figure out what this is ever for. Part of clean design is creating a hierarchy of your messages. Think in terms of what your audience wants to know. First they’ll want to know what are we talking about? 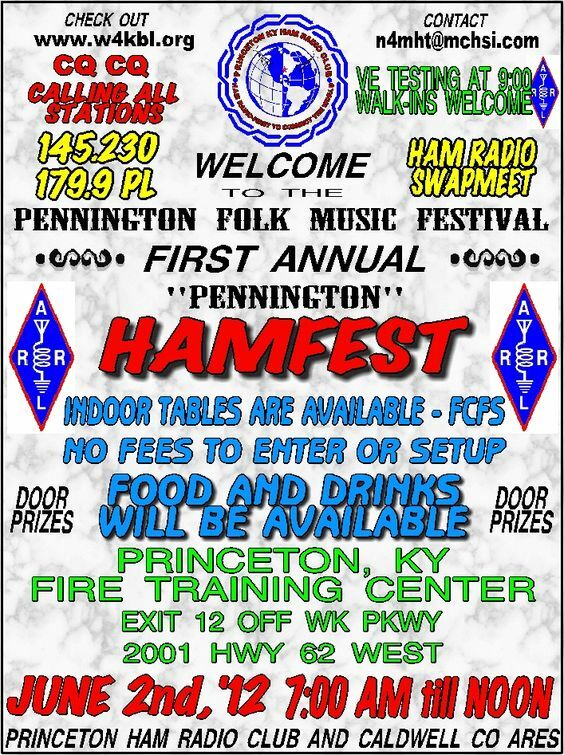 Message one should be “First Annual Pennington Hamfest.” That should be much more prominent than everything else. Then the audience asks “OK, what’s that?” So that should be second in order of prominence, but instead I think that answer is hidden up here in the corner: “Ham Radio Swapmeet.” Before anyone out there gets excited, I’m sorry, you missed it. It was several years ago. Information like that – time and place — should be the third level in prominence. And so on. You can use design to guide your audience through what they want to know: “The Pennington Hamfest is a ham radio swapmeet and it’s on June 2, 2012.” Clean design doesn’t get in the way of that, it makes it quicker and easier. Consistent. This is our last “C” that we’re going to discuss, then we’ll get into how to apply these three “C”’s of great design to the buyer’s journey. So let’s look at the image above from the consistency angle. Like I said, lots of fonts going on there. All different weights, all different colors, some in italics and some not, some outlined, some with a drop shadow. There’s absolutely no consistency here. It’s as if every piece of text was “designed” completely independently from everything else, then it was all dropped together on the page. There should be a consistent look established, then all of the design should spring from minor variations on that look. Logo. Every company that has a logo should have rules about how to use that logo. Don’t stretch it, don’t leave parts of it off, don’t put a big ugly starburst behind it, stuff like that. Fonts. In print design, I usually say that you should pick just two fonts. For a lot of online applications, it’s really best to just pick one. Then you can use different sizes and weights of that one font. Choosing one font family goes a long way toward establishing a consistent look and allowing for a little more creativity elsewhere. Color palette. If you haven’t already, you should establish color guidelines for your brand – make them part of your brand. There are lots of resources that will help you pick a palette of colors that work well together, depending on the feeling you want to convey or the mood you want to create. Create a look based on that theme. And set a style for images and how you use them. This can mean selecting a set of icons that share a consistent look or sticking to a certain style of photography. Now let's look at an example of all of the things we’ve talked about, in action. 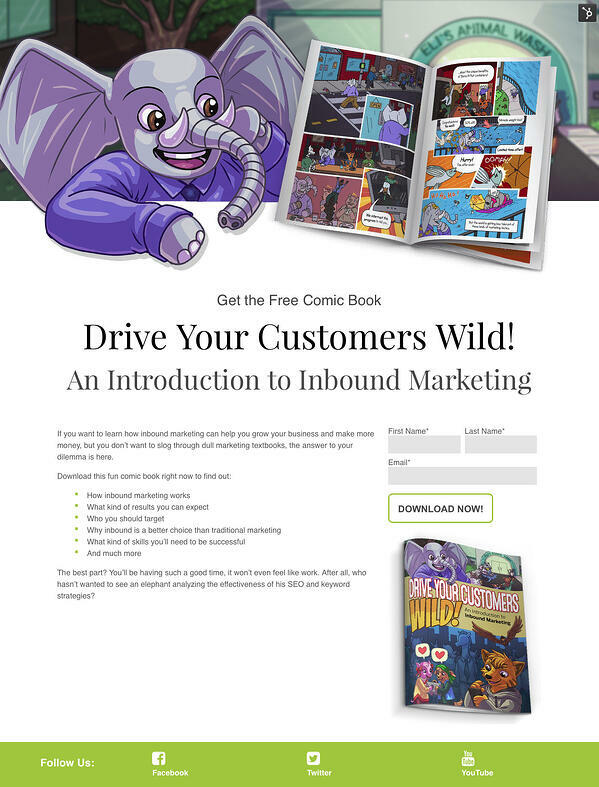 We’re going to look at the campaign we created for an inbound marketing comic book we created at madison/miles media. We spent years working on this book, so we really wanted to create a campaign around it that worked. 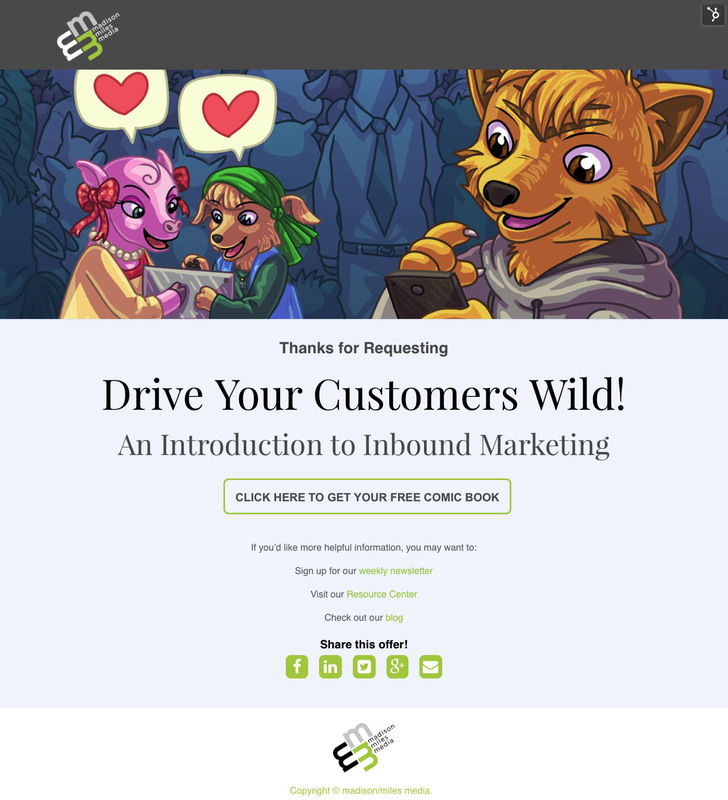 How did we create an inbound offer campaign that used design to propel the buyer along their journey? Is it clean? We’ve limited our elements: We have our main character, some simple and direct text, and an image of the comic book. All of this is on top of a background from the comic. It gives it some visual interest, but doesn’t interfere at all with the other elements. Is it consistent? Well, this is the first piece most people will see, so we’re establishing the look here for later pieces to be consistent with. 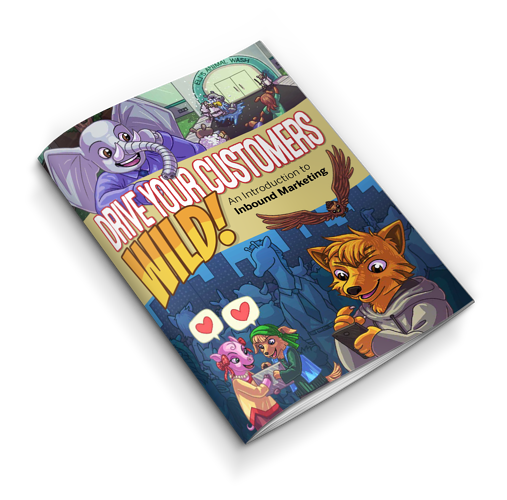 But, we’re already establishing consistency with the comic book itself by pulling in the gold color from “WILD!” in the title, the font we used for the “Drive Your Customers” part of the title and the more traditional font from the cover that we used for the subtitle. That’s Benton Sans, which is our main madison/miles media brand font. We use that for the “Get Your Free Comic Book” button. So, yes, we’re consistent with the established look of our company and the offer itself, and we’re setting some other guidelines for how we’ll use elements through the other pieces in our campaign. Clear. Simple message, delivered in a way that works to clearly guide the potential customer our way. Clean. Limited number of elements, used in a way that enhances and doesn’t interfere with the message. Consistent. Same fonts, colors and imagery as our previous piece. We set the look and we’re sticking to it. It’s clear. The title of our comic book is big and centered below the hero art. It’s very clear what’s expected from the visitor. Fill out the three form fields and click the big, easy to see button. Easy peasy. It’s very clean. We originally had a light blue background on this. Just a clean white ended up working better. Nothing fancy here at all, but it’s not needed. We have plenty of visually interesting elements just with our comic book art. And it’s consistent with the CTAs. Imagery from the same sources, the only thing is we’re giving them a peek inside the comic book now. You may notice we’ve also introduced another font, but that’s madison/miles’ secondary font from our website, Playfair Display. So we’re bringing in a little of that now, but keeping everything consistent with established looks. We also have the green bar at the bottom, which is our madison/miles media green. So again, just introducing some of our branding in a very subtle way. And now we arrive at the thank you page. Again, it’s clear. Big button to download the content offer. Very clear secondary calls to action guiding the visitor to now learn a little more about who we are. It’s clean. We did keep the blue background on this page, to differentiate it a little. But it’s very subtle and unobtrusive. And finally, it's consistent. Same colors, fonts and imagery. One of the hopes of the thank you page is that the visitor will then follow one of these links. We want that to be a smooth transition as well. So, if they click to go to the Resources page on our website, it feels like a continuation of their journey. Because we used things like our brand fonts and colors along the way, we established consistency with our brand and made for a smooth transition out of our offer and into our main site. Nothing jarring or confusing design-wise, because we brought in that brand consistency in subtle ways. So by using clear, clean and consistent design in our inbound marketing, we're powering the buyer’s journey. Use these same principles in your design to move your potential customers down their path towards making a connection with you. 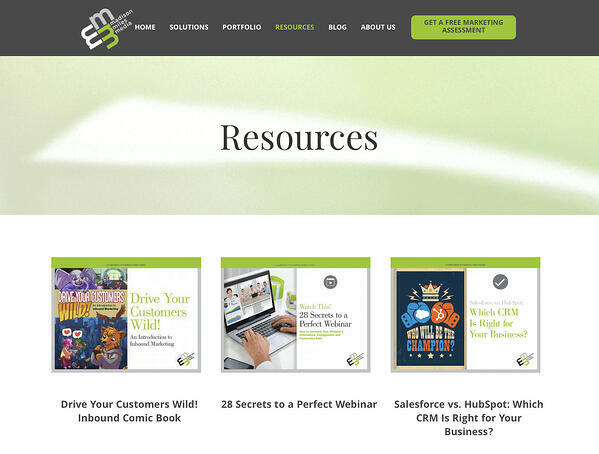 madison/miles media is recognized as a top content marketing company on DesignRush. 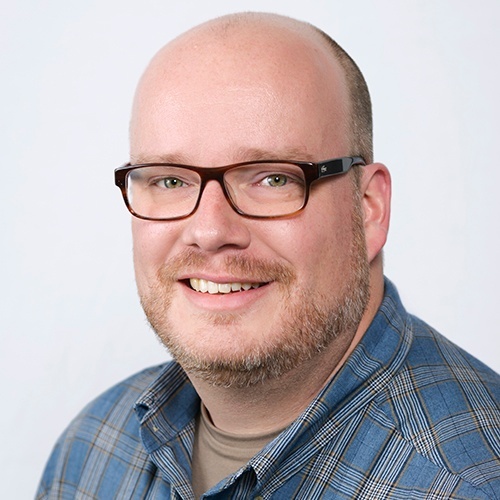 As madison/miles media's art director, Ben puts his background in magazine and advertising design, film and video production, and print and digital delivery systems to good use. He lives in the Atlanta area with his wife and three kids.